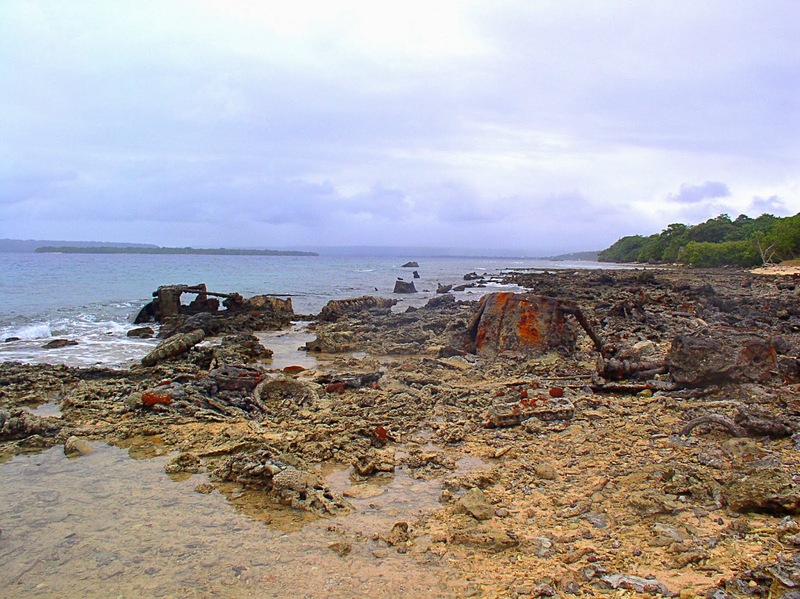 Like most of Vanuatu, Espirutu Santo in the northern chain of islands, was occupied by the Americans during WWII to launch their attacks on the Japanese in the Pacific. On their departure from the island they left behind infrastructure like roads and runways, and even buildings, with army built Quonset huts still standing around Santo. The biggest legacy is Million Dollar Point, both historically fascinating, but environmentally destructive, and a monument to greed and stupidity. The Condominium of the New Hebrides (as Vanuatu was then called) run by Britain and France thought they had the Americans over a barrel as the time for their departure neared at the and of the war. The American bases were full of vehicles, furniture, clothing, food, drink and all that had been required to sustain the troops. A decision had been taken that this was not going to be repatriated, and that the Condominium could buy it all at rock bottom prices. Unfortunately the British and French got greedy, refusing an offer to pay 6 cents in the dollar for everything, thinking they would eventually get it for nothing. The Americans were none too impressed with this, and came up with another option in a moment of madness. They took all the vehicles, food, clothing and other equipment to a wharf on the south side of Santo. The army drove the vehicles into the sea, and then used bulldozers to dump the rest over the end of the wharf, before they also were driven into the sea. 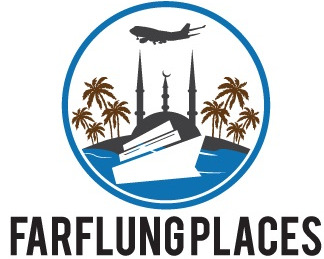 Millions of dollars of goods were destroyed over a period of two days, contaminating the sea with fuel, rubber, metal and Coca Cola. What the locals would have thought watching this wasteful destruction would be hard to understand, although quite rightly they looted what they could when the Americans had left. Today you can take a 10 minute taxi from Luganville to Million Dollar Point and snorkel over entire rusting vehicles, from tanks to cranes, or go at low tide and pick your way, carefully, over the remains. 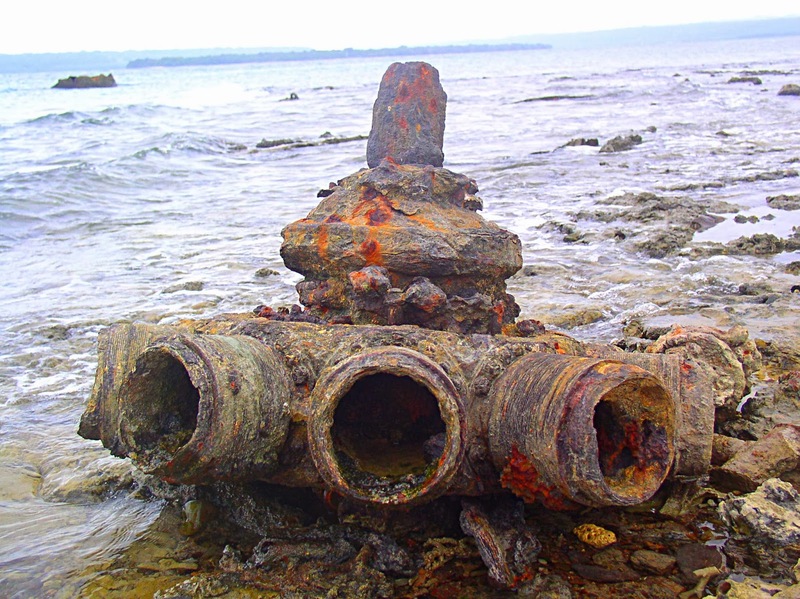 Steering wheels remain embedded in the reef, unbroken coke bottles lie on the sea bed, alongside cutlery, plates and a huge amount of twisted rusted metal. We had a great time scavenging for souvenirs, and managed to avoid getting cut as we walked through the incredible historical junkyard. There are now discussions, sixty years late, of the American military returning to clean up the area. This obviously is a good thing, but Million Dollar Point is one of the most amazing places I have been to, a memorial to political madness, but a historical treasure trove. 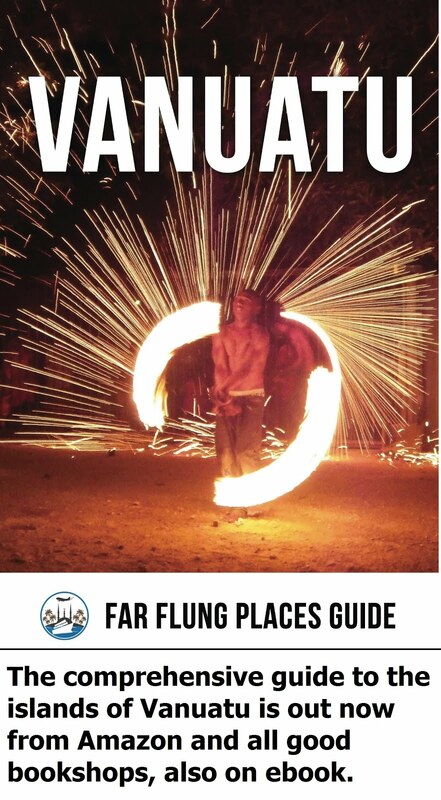 Read more about Vanuatu in this brand new guide book published by Far Flung Places. Over 300 pages packed full of current places to see, places to stay and eat, and many handy hints to allow you to see the best of this fascinating country in the most up-to-date guide available to this country. 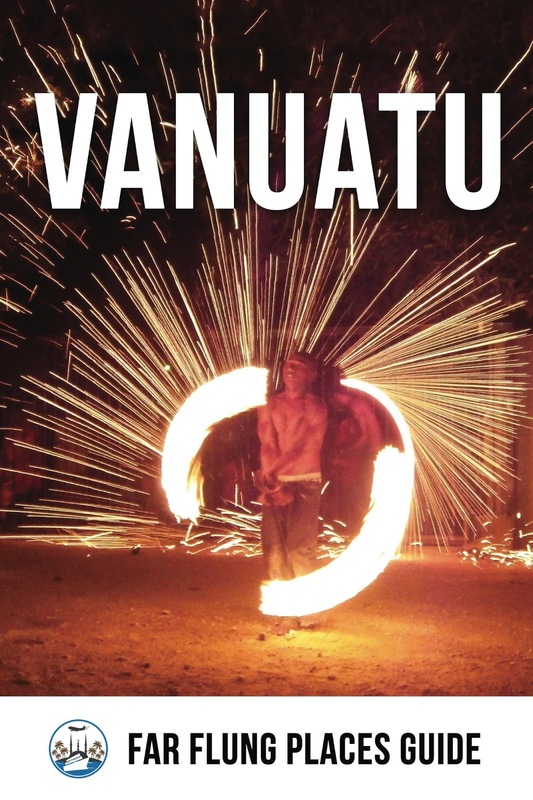 Accompanied by a selection of stories about places, events and people in Vanuatu which will transport the armchair traveller to this incredible Pacific nation, while giving more background and details for the intrepid visitor. Available as a paperback from all good booksellers, also available for ebook and kindle. 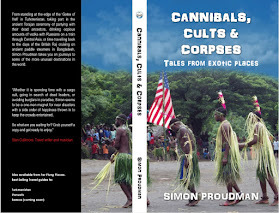 "The contents of this new book are perfect for arranging a trip to Vanuatu. I bought the book yesterday as the current Lonely Planet (I have used them all my life !) was so out of date. This afternoon I have quickly got to grips with your book ... which is full of all the right info and amazingly easy to use; and I already feel that we like and appreciate the same things in life!The book even gives up to date pricing for all accommodation, flights and 'things to do', and I feel sure it is going to become our 'Bible' for our forthcoming trip to Vanuatu. Thank you Simon Proudman for all this amazingly helpful information, which would have been impossible to find anywhere else. And we also love your stories about your Vanuatu travels, which makes it all become so real"
What I look for in a travel guide are nitty-gritty facts that show someone knows the area well, and that is exactly what you get from this book. You don't get glossy photos, but who needs them when the islands come to life through the words of the author, Simon Proudman. 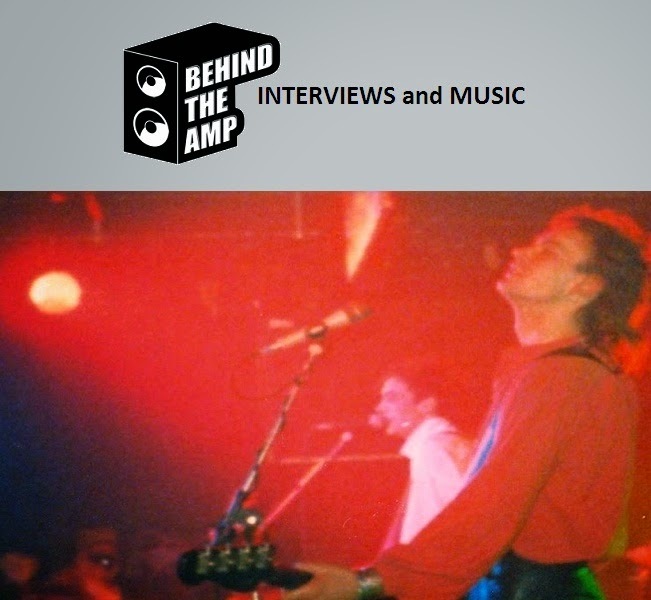 I particularly like the wealth of personal stories at the back. I have considered visiting Vaunatu and its surrounding islands for a while, and what better time to plan a trip than now, to help the locals get back on their feet. A great read! 5.0 out of 5 stars going to Vanuatu? Buy it! Absolutely exhaustive guide to this fascinating place, great detail, anecdotes, and highly researched practical info too make this the perfect book to have on hand. This is how aall guidebooks should be really with relevant and pertinent info and factoids included longside hotel and restaaurant information. Also Simon Proudman's book doesnt treat the reader like an idiot nor pander to any of the different types of traveller out there over any other, showing balance and an appreciation that there are many different ways to expeirence the same place. This sits well alongside the same author's terrific guide to Turkmenistan. Beyond highly recommended; this is essential!